Tonight, Stacey Abrams will make history as the first Black woman to give a State of the Union rebuttal. 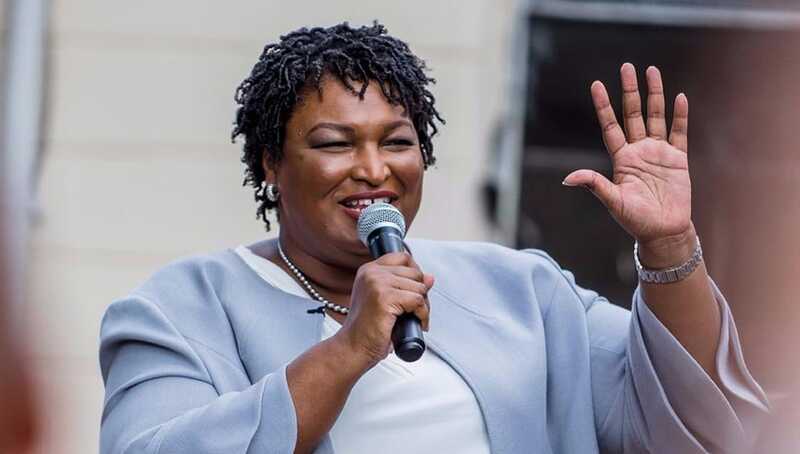 Two months ago Abrams narrowly lost her race to become Georgia’s first black governor but her voice within the Democratic Party has grown and she was chosen to give the official Democratic rebuttal to President Donald Trump’s State of The Union address tonight. According to the New York Times, Abrams will be the first Black woman and the first non-sitting public official to give the rebuttal. This rebuttal will take place after the president’s speech which is set to begin at 9 p.m. ET (8 p.m. CT). The State of the Union address just so happens to fall on what would have been Trayvon Martin’s 24th birthday. 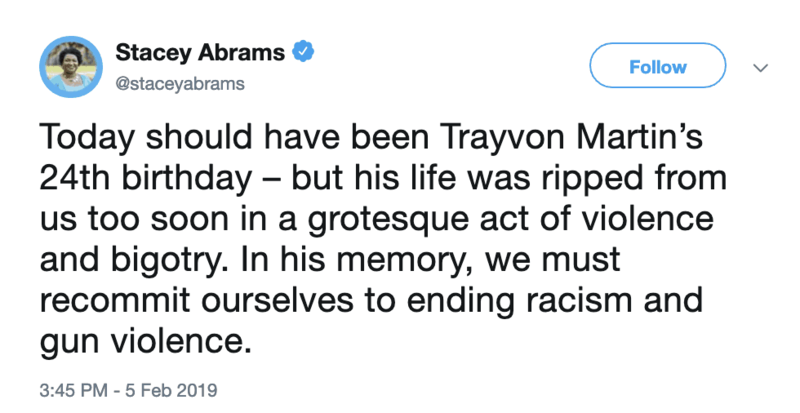 Abrams took to Twitter this afternoon to memorialize him and speak on racism and gun violence. Stacey Abrams is a proud alumna of Spelman College. Make sure to watch Abrams’ rebuttal tonight after the president’s address at 9 p.m. ET (8 p.m. CT).